Consult with us to prepare a business tax return for your LLC, Partnership, S-Corporation, or C-Corporation. We accommodate your business needs. Is your business a Partnership, S Corporation, C Corporation or Limited Liability Company (LLC)? Form Schedule C must be filed with your individual income tax return (Form 1040). If you own an unincorporated business by yourself, you are a sole proprietor. If you are a single member of a domestic limited liability company (LLC) and treat the LLC as a corporation, you are not a sole proprietor. If you have multiple members of your LLC, you are most likely a partnership or an S Corporation. Form 1065 (Form K-1) or Form 1065-B is used for a large partnership. If you share a trade or business between two or more individuals and all members share profits and losses for the business, you are known as a partnership. The due date is the 15th day of the 3rd month after the end of the partnership’s tax year. Form 1120S is used for an S Corporation. S corporations are corporations that elect to pass corporate income, losses, deductions, and credits through their shareholders for federal tax purposes. The due date is the 15th day of the 3rd month after the end of the corporation’s tax year. Form 1120 is used for a C Corporation. In a C-Corporation, shareholders exchange money and/or property for the corporation's capital stock. The due date is the 15th day of the 4th month after the end of the corporation’s tax year. Pick and choose what fits your business needs. 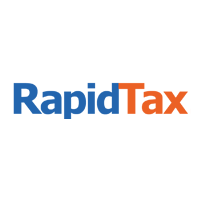 * Electronic filing is only available for current year 2018 tax returns, during the IRS allowed e-filing period between January 28, 2019 and October 14, 2019. * You don’t have to make the payment due January 15, if you file 2019 tax return by January 31, 2020, and pay entire balance. Provide your contact information and one of our CPAs will reach out to you shortly. Current year returns can be e-filed if you provide a Photo ID and sign Form 8879. What is the deadline to file a business return? March 15th is the deadline. How long does it take to get my return? It typically takes 24-48 hours. If you have a rather complex return, this will require additional time to ensure accuracy. How can I change my entity to S corp? You need to file Form 2553 which is the entity classification within 75 days of the beginning tax year. Can I change the information in my return after I submit it? Once you submit your return, you must request for us to grant you access to your account to allow you to make necessary changes, free of charge. If the IRS has already accepted your return, you must file an Amendment (Form 1040X). How do I get the return and where do I mail the return? Your returns are automatically uploaded to your account on the website along with an email notification when it’s ready to download. All addresses and mailing instructions are provided below the download. Tax returns take 1 to 2 business days to be processed. All tax returns are quickly reviewed for errors. What were your sources of income? Did you have any expenses?